Are you interested in martial arts or Samurai? If so, taking a look at Kendo practice may be interesting. Butokuden is the traditional training center. 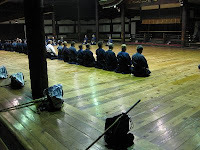 Sometimes, high-ranked kendoists practice there in the DOJO or training hall. When we stood in front of the door, I felt intense atmosphere. One of them walked to us and talked to me with a smile. He explained a little about them . Most of the kendoists we saw on the day were high-ranked. Especially three of them are ranked in the 8th grade. He said just 1% of 7th grade applicants can pass the so-called promoted test. Actually the opponent of the 8th grade kendoist could not move due to his strong consentration giving no chance for attack. It was very impressing and I just did sit and stare them fogetting time to tick away. In front of the Kendoists in the picture above is the place for Emperor when he came to see the match. A few decades ago, then Emperor came there and saw the matches held there. If you have further interest in swords or Samurai, visiting the sword shop near the training center is also fun. 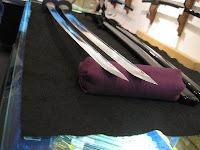 You can see a suit of feudal arm and sword guards or dogi ( Aikido or Kendo outfits ) The swords in the picture are the ones for practicing Iaido or sword drawing. This time, I was a guide of a couple from Canada. They showed many interests and I had made a plan for them before their visiting Japan. 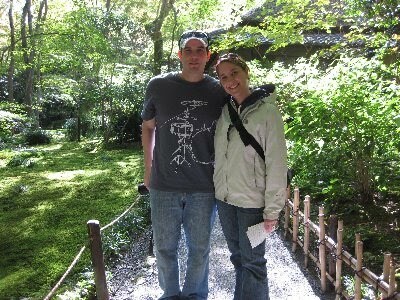 On the first day, I took them to Arashiyama, Bamboo forest and what they call a small moss garden/ Gioji temple. At night we went to see Kendo practice. It was a long day, and we made the most of the time we had. The next day another guide helped me for a part of the 2nd day tour. 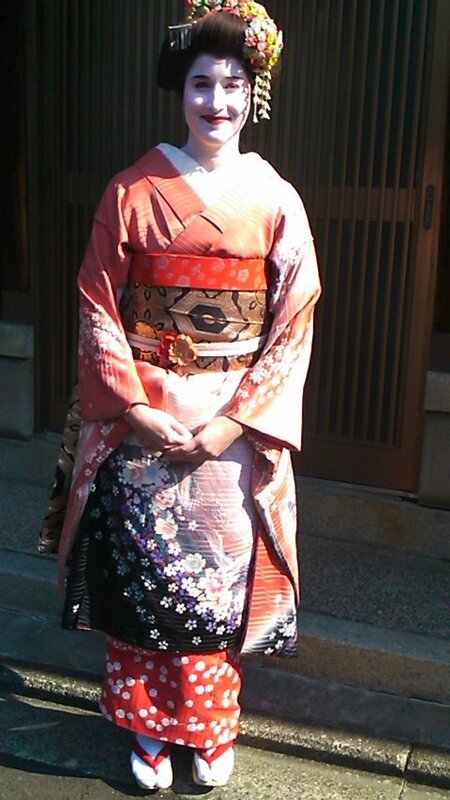 A lady of them got dressed as a Maiko or an apprentice of Geisha and enjoyed tea ceremony in a typical tea room . 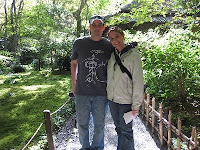 Later, I took them to Nijo castle and talked about the story of Samurai concerning to this historic castle.